Have you ever been in the middle of showing a co-worker some pictures on your phone only to have them flick past one that was somewhat embarrassing? We all have photos that are special to us, but if anyone else saw them, it might make them blush. Keep reading, and we’ll go over ways to hide and lock the iPhone photos you don’t want anyone to see. It’s really easy to hide picture directly in the Photos app, but that means it’s also easy to find hidden photos. And as I mentioned earlier, there’s no way to password protect in the Photos app, so I would caution this method be used to hide pictures that only need a mild deterrent. Confirm that you want to hide the picture. There they are, your secret pics and videos! But as you can see, they’re not that well-hidden. 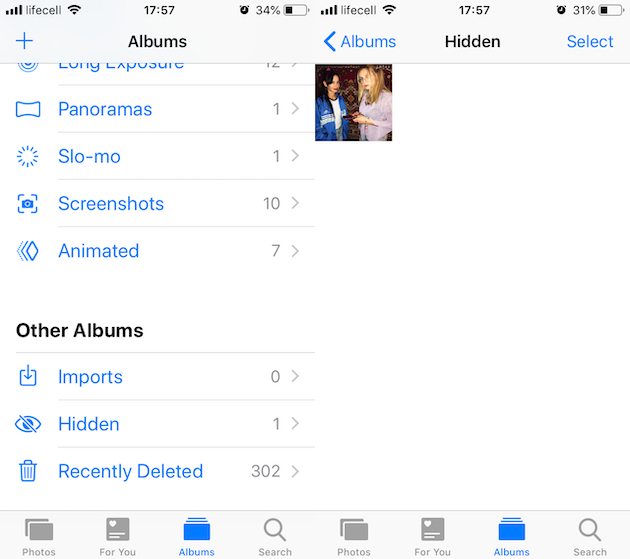 Can you create a hidden album on iPhone? Again, it’s pretty easy to find the Hidden album, so I would keep that in mind when you’re choosing which pictures to hide. While you’re going through your library trying to figure out which photos you want to hide, why not sift through for unneeded pictures, too. 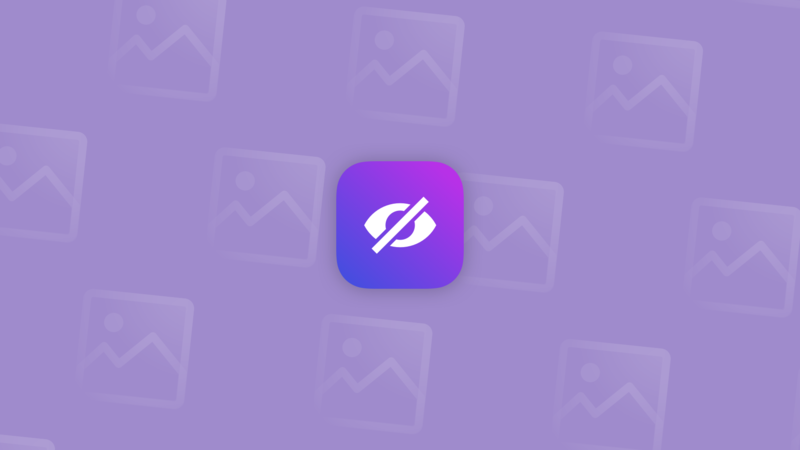 You can find similar photos, blurred ones, and other useless stuff with apps like Gemini Photos. Try it out. 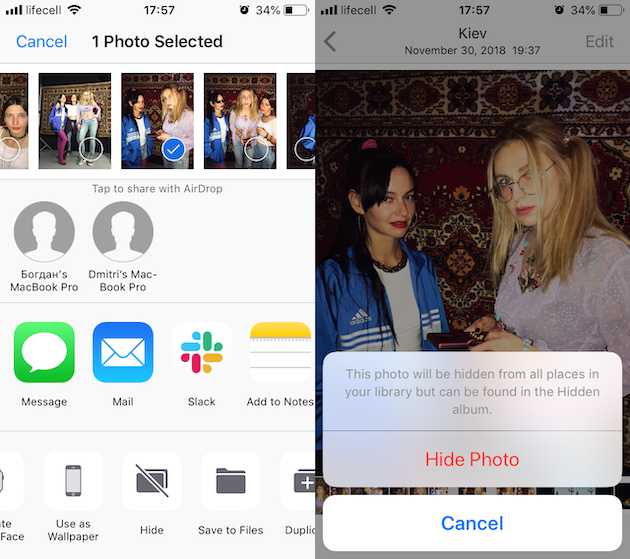 Can you lock or password protect photos on iPhone? The short answer is, yes. That being said, it’s not as straightforward as you might think. You can’t password-protect a picture in the Photos app, but you can use apps like Notes or other third-party ones. 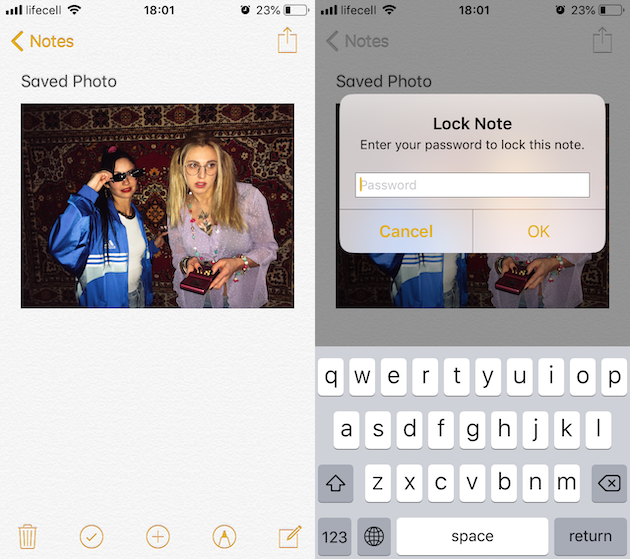 If you’re hoping for a little more security when you’re hiding photos, a workaround for that is to save them in the Notes app instead of Photos. 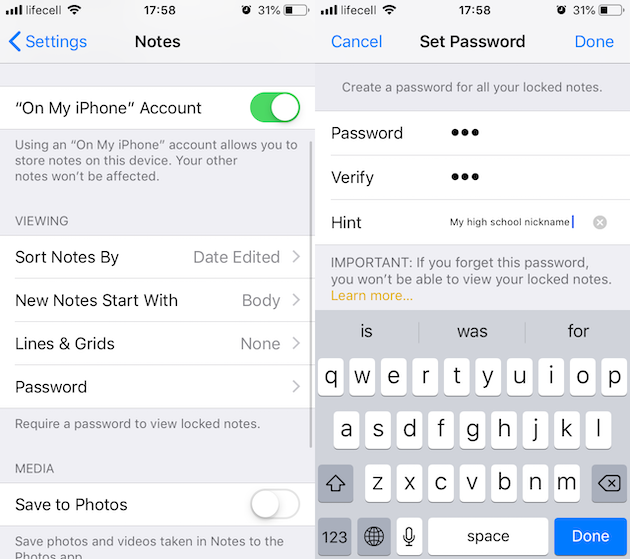 Because Notes allows you to create password-protected notes, it’s great for copying in your pictures. Not to mention no one would think to look for photos there. Set and Verify the password you want to use for all notes. In the Photos app, find the picture you want to lock. Tap Share > Add to Notes. In the Notes app, open the note with the picture. Tap Share > Lock Note. Once you’ve verified your picture is now in the locked note, you can go ahead and delete it from your Photos app. Now that picture is only available in your notes. Lock albums with custom passwords. 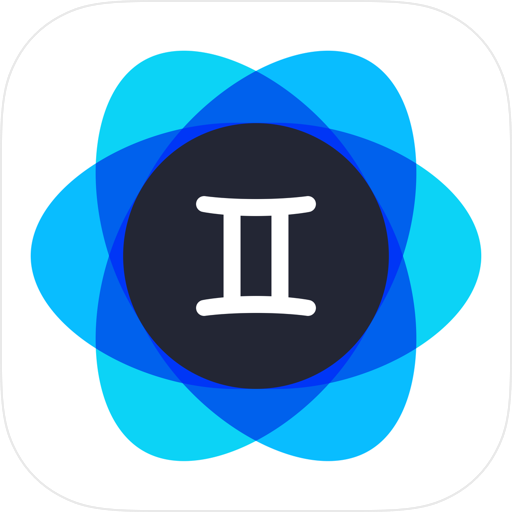 KeepSafe has a handful of other great features that are worth checking out, aside from their main selling point of hiding and password protecting photos on iPhone. Hopefully, reading this article helped ease the anxiety of having private photos on your iPhone. There are several ways to hide and lock your photos — you just have to figure out how secure you want it to be and how much effort you’re willing to put in.